Raise your hand if you hate Sunday nights. Yup, my hand is close to the ceiling; my arm is shooting straight up. I hate Sunday nights. Part of it is for the simple reason that the weekend is over and work usually looms in the horizon (at least during the school year), but another part of why I hate this night is because I always have a fight with my pillow. Throughout the day I'm usually tired. I can't wait to crawl into bed as early as possible. But come Sunday night I'm lying in bed, eyes wide open and mind thinking working at full speed. And then it just becomes a full-on battle with my pillow: I turn it over more than fifty times until I finally give up and throw it to the side. Then I start fighting with my covers. It's a mess and in the end I'm sprawled face up staring at the green light from the smoke detector of my ceiling. So yeah, that's another reason why I hate Sunday nights. But then again, it's almost summer, which means that soon Sunday night should feel just like any other night. Anyways I decided to make cupcakes again yesterday. Why? Because I didn't want to study for my exams and I was planning a Cinco de Mayo gathering. My mini-party didn't really go as planned but the cupcakes came out great. 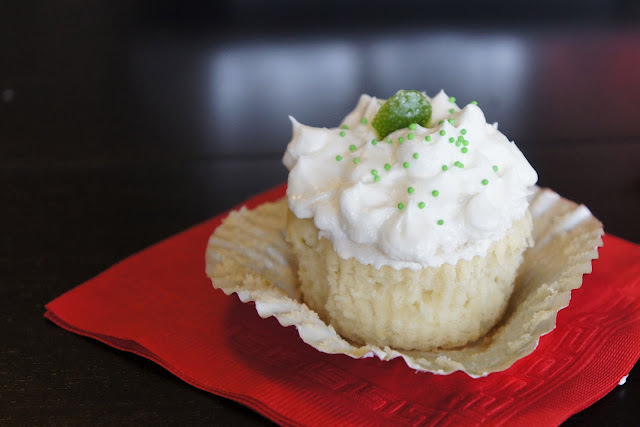 They're margarita cupcakes, but honestly they taste like a tangier version of key lime pie. Both the cake and the frosting have tequila, but it's just the right amount. They have just a slight trace of it and it makes the other flavors (lime, lime, lime) pop. Enjoy! Preheat oven to 325 F. Line two cupcake tins with 16 liners (I used one 12-cup and one 6-cup, but otherwise distribute evenly) and set aside. Scrape the sides of the bowl and add lime zest, juice, 2 tablespoons tequila and vanilla extract. Beat on low speed until combined. Mixture might look curdles, but it's normal. Add dry ingredients in three batches, alternating with the buttermilk in two batches. Mix until incorporated. Divide batter among prepared baking tins. Bake cupcakes for about 25 minutes or until slightly golden and toothpick inserted in the center comes out clean. Transfer tins to cooling rack and allow cupcakes to cool for 10 minutes. Transfer cupcakes to rack. 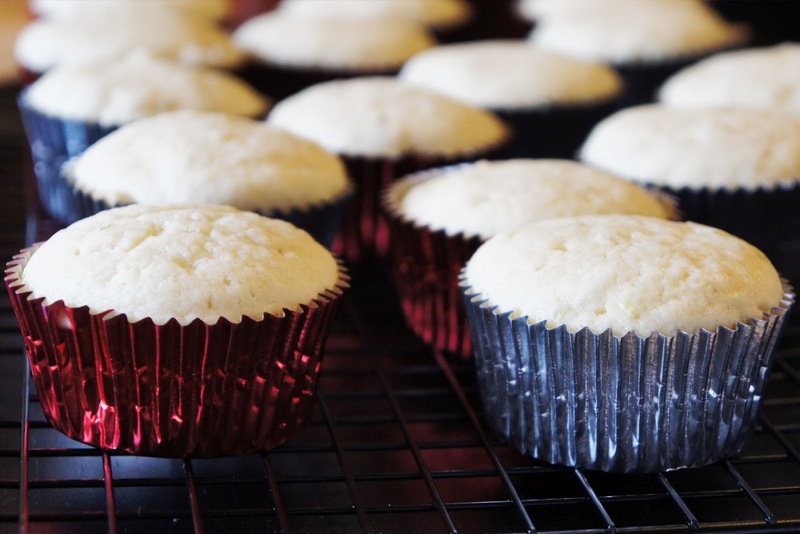 Brush cupcake tops with remaining tequila and allow to cool completely before frosting. Makes enough for 16 cupcakes. 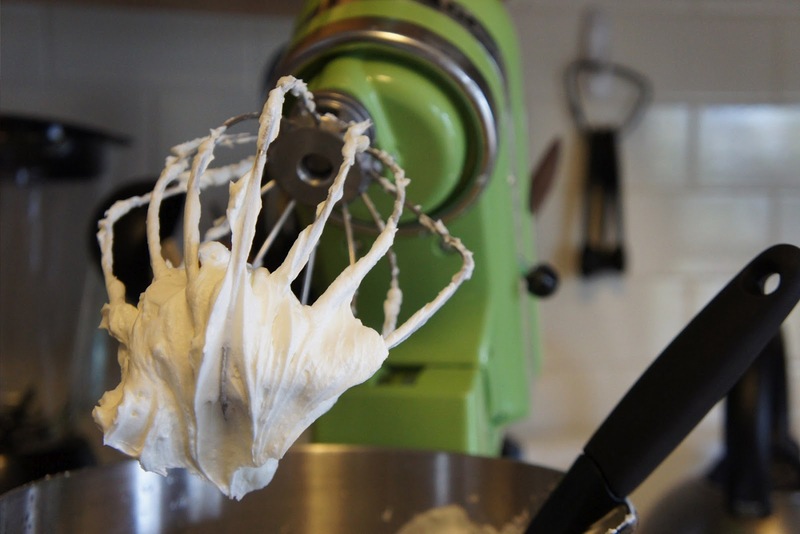 In the bowl of an electric mixer, whip butter on medium-high speed for about 5 minutes. Reduce speed to medium-low and gradually add powdered sugar, mixing until well incorporated. Mix on medium speed for 30 more seconds. Add lime juice, tequila and salt and mix on medium-high speed until fluffy. 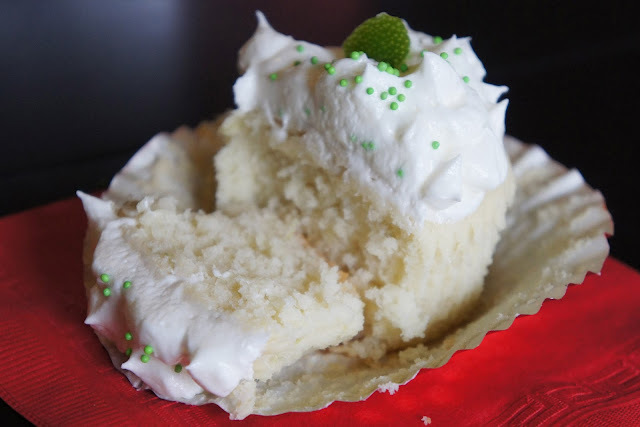 If frosting is too soft, add additional sugar, one spoonful at a time. 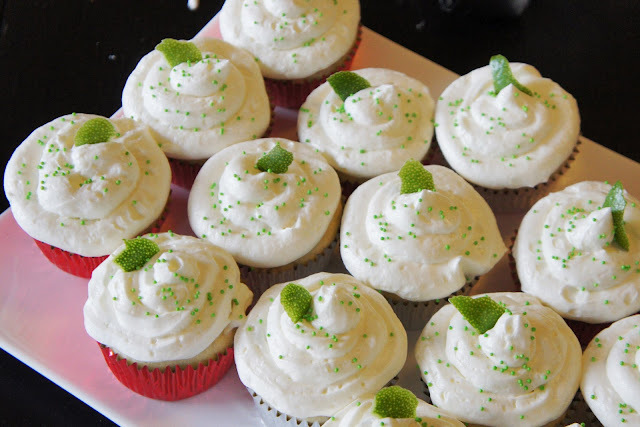 Frost cupcakes and garnish with lime zest and sprinkles. WOW que delicia. ESTEFO!!! Ven a LA a hacerme cupcakes.